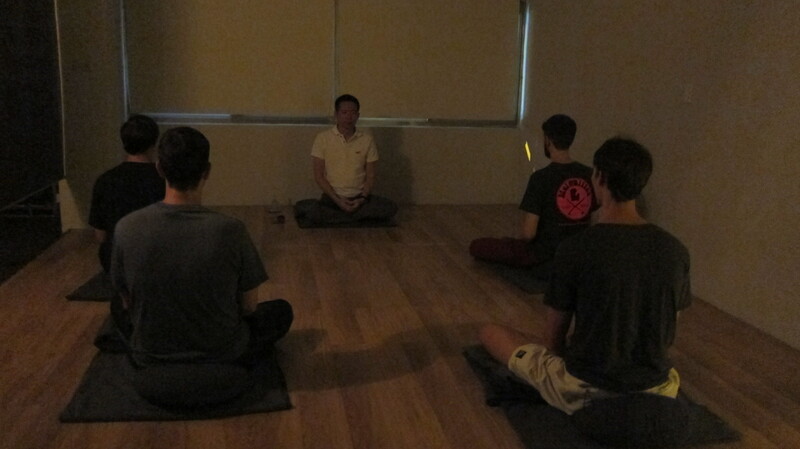 Beginner’s Zen Class is a 3-session course for new comers to learn the basic Zen ideas and meditation skills. We provide Beginner’s Class on Tuesdays 7:30 pm- 8:30 pm. You will learn different meditation techniques in each session of this 3-session course, so try to not miss any single session. As an incentive, we will provide you a set of meditation gear, including a meditation cushion and a backpack. The meditation gear is a gift from the Center. We sincerely hope you can start and continue your Zen practice from this Beginner’s Class. * Prior Online registration is required. As required by Taiwan law, a non-profit organization provides classes to its members only. Those who apply for classes will automatically apply for the learning membership in order to take classes at None Zen Center, and that is why you will be required to fill up some of your personal information on the application form. No membership fee will be charged for learning membership though. None Zen Center reserves the right to accept or reject any application. Please arrive 5 minutes earlier to prepare yourself for the class. TPTEB 75 5/7, 5/14, 5/21 Sign up now!